I don't think anything has ever come together as fast as these cats. I sewed together the blocks I posted yesterday. Then made some little stars to fill in the gaps and added another cat and another big star to the right hand side. Then one last star,some more triangles and the two last cat blocks and I have this,which I am pretty happy with. Now I'm taking it to back to whence it came, to see what the verdict is and what happens next. Maybe they need a Jellicle Moon. This will be my last post before Christmas I think, but we'll back on 29th with the last AHIQ link up of the year, so I hope to see some of you there, and in the meantime happy holidays, one and all. This is such fun - I absolutely LOVE it! Looking fun and cheerful ! Isn't it fun when inspiration and time to execute strike at the same time! You sound so much more upbeat over this one. I love it - it has a really friendly charm to it. Really like the blue cutting through all those warm colours! I hope the verdict is that the "client" is well pleased with the top! Enjoy your Christmas break! The cats are looking great! Nice job! Wow Kaja, that is great. Love how it all comes together. What a delightful way to use the cats! You did more wonky stars too! Love the way this quilt top came together Kaja! Merry Christmas to you and your family! This looks like a fun quilt. Stars and cats together look great. This one was meant to be -- love it!! Love your Jellicle Cats, and how the bright fabrics complement them. For some reason, I can still hear one of my daughter's friends reciting the poem in their third grade poetry recital years ago. I don't know why that particular one stuck with me, but your quilt has it echoing in my head again in her voice. I bet your mum (ahem, your ancient female parent) is thrilled with what you've done with her cats. I've been quiet in commenting lately. 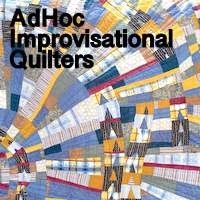 I guess going on a blogcation also meant going on a comment-cation, too, but that doesn't mean I haven't been watching your progress on this quilt and on your Quiet Quilt (which I do love--even if the repetition was trying for you). Happy New Year! You've really pulled this one together prettily, and I'm sure your ancient female parent (that is just too funny, btw) is going to be thrilled with it. If not, there's another ancient who will appreciate the Jellicle Ball you're having.